I hope you can see that the design of the tee is a pun. 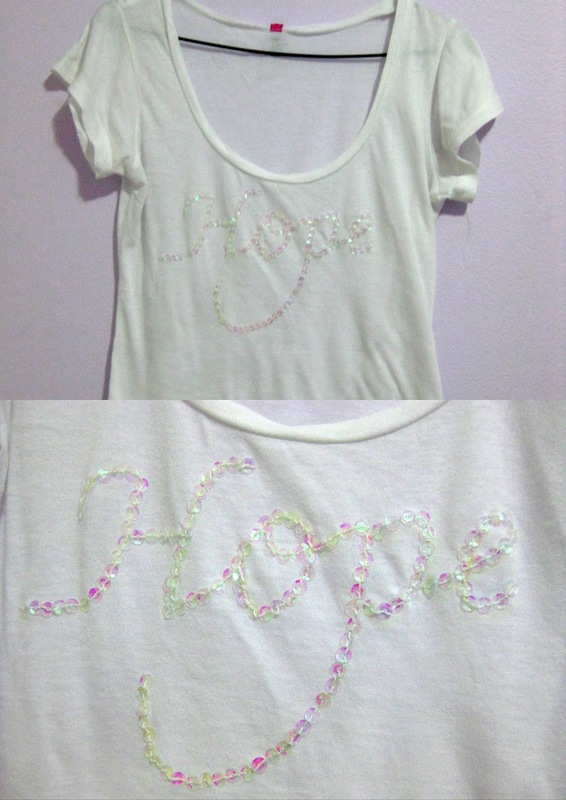 Colourless albeit shiny sequins that trace out the word 'Hope' in a beautiful cursive font on the front of a tee, rendering its design unseen and unknown to the careless observer = a glimmer of hope. This tee that I saw in a Japanese magazine struck me with the idea of sewing my small bag of colourless (and almost useless) sequins onto my very very boring tee. I love Japanese fashion magazines!!!!!!!!!!!!! I bought the magazine because it came with a free bag, but that's just another story. I was initially thinking of doing some other word instead of 'Hope', but I also thought that 'Love' is quite ubiquitous and 'Dream' is a little too long. So, I ended up sticking to 'Hope'. Well, it was the long, beautiful and rounded tail of the 'p' that struck me in the first place. 1. Type 'Hope' (or any other word that you decided to use instead) on MS Word using Monotype Corsiva in font size 320. Print the word out. 2. Use a marker to edit the design. 3. Put the paper underneath your white tee and pin it in place. Wear your tee to ensure that the word is not slanted in any way. 4. Trace the word out using a cloth marker. Remove the paper and then wear your tee again to ensure that the word is not slanted. 5. Sew your sequins along the tracing of the letters! 6. Wash your tee to remove the markings from the cloth marker! 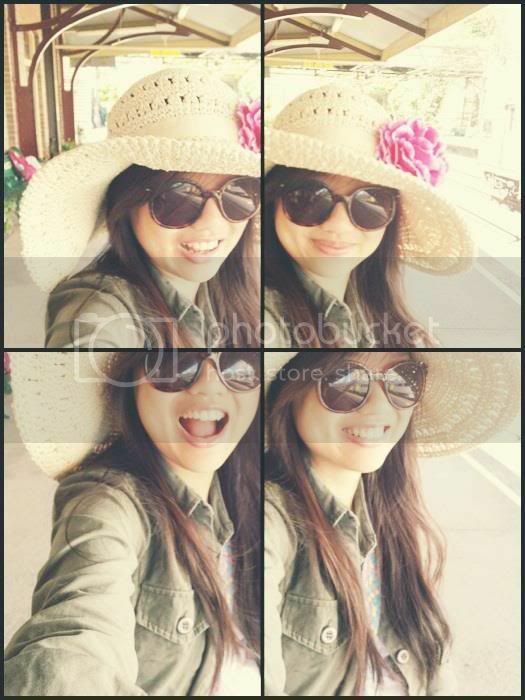 wooww! i love it. its really so similar to your reference! Jap mags are the best! Clever use of words, by the way. Wow. I think I can try doing that too. Thanks for the tip.